Carson Wentz. The number two overall draft pick in the 2016 NFL Draft. A rookie head coach paired with a rookie quarterback. Promoted to starting quarterback eight days before the season started. A rookie playing for a storied NFL team in a passionate football city. Starter at quarterback for two NCAA FCS National Championships and possesses five national championship rings. Back in 2016, Carson traveled home to North Dakota to spend time enjoying his passions and visiting communities. Here is a look back at our first conversation with Carson about his life in the NFL, North Dakota, and comments about the future. Since being drafted by the Philadelphia Eagles in April, Carson has called the City of Brotherly Love his 2nd home. Now, 1,406 miles east of his previous home, Fargo, ND, Carson is fitting in better than ever, due to the same work ethic and passions that made him successful and a fan favorite at North Dakota State University. Not only has Carson continued his midwestern work ethic, he’s stayed grounded due to his faith and a belief in his team. Being a leader of a high profiled NFC offense has to be an intimidating task. Philadelphia fans need no introduction. Passionate. Hard working. Knowledgeable. Die-hard. Tell us about your Philadelphia fan experience? Carson transferred his hot-hand at NDSU to the NFL, and Philadelphia fans appreciate it. Even if they all didn’t initially agree with the decision to trade-away draft picks, they are excited about the ‘Wentzwagon’! “Obviously, with the success we’ve had so far, there’s been a lot of positive feedback and a lot of positive experiences with the fans. Carson grew up hunting and embracing the outdoors as a way of life. It’s only ironic he received the phone call that changed his life during one of his hunts. In that instance, his life changed forever. Hunting pheasants, deer, and waterfowl in the midwest has a great reputation, how does Philly compare? Being a hunter requires determination and the belief that you will succeed. Walking two miles for a pheasant, waking up at 4 a.m. for a duck, or scouting the same deer for three months…some would call it insanity, but we call it hunting. “I’m always the optimist. I’m always thinking we’re going to shoot this 30 point buck, or we’re going to shoot our limit of geese. I’m always thinking those things. And let’s be real – it’s hunting, it’s never like that. Expectations today are at an all time high; in our professional lives, personal lives, through our passions. How do you stay humble and optimistic when hunts haven’t gone exactly as planned? In college, as you thought about your future career, what did your “8 to 5” job look like after graduation? Was football part of your plan? Unable to predict the future two months ago he was projected to sit on the sidelines, for most of his rookie NFL season. Do you have any goals or dreams, outside of football, that you are looking forward to chasing in 2017? Kids and young adults are studying your techniques and trying to ‘be like Carson’, what do you say to the young football player or college athlete as they hone in on their passion? It’s no secret your faith plays a large role in your life, how has your faith anchored your mindset through ups and downs? Fast forward to 2018: Carson is a Bert Bell Award winner, second-team All-Pro, a Pro Bowl selection and a Super Bowl champion, all in the 2017 NFL season. Combine those accolades with a couple NFL records and Carson has had a great start to his career with many more milestones to come! One thing is clear after spending time with Carson, he is a man rich with passion. Passion for his home state of North Dakota, his faith, for his fans, his team in Philadelphia, for the sport of football, and the great outdoors. Want more Carson? 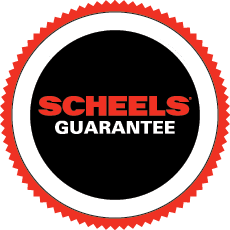 Follow us on Twitter @scheels or Instagram @scheelssports.